Join Center for Constitutional Rights Staff Attorney, Diala Shamas, on Wednesday, February 27, 2019 from 6pm-8pm, as she celebrates and discusses her chapter in "New York After 9/11" entitled "Living in Houses without Walls: Muslim youth in New York City in the Aftermath of 9/11." 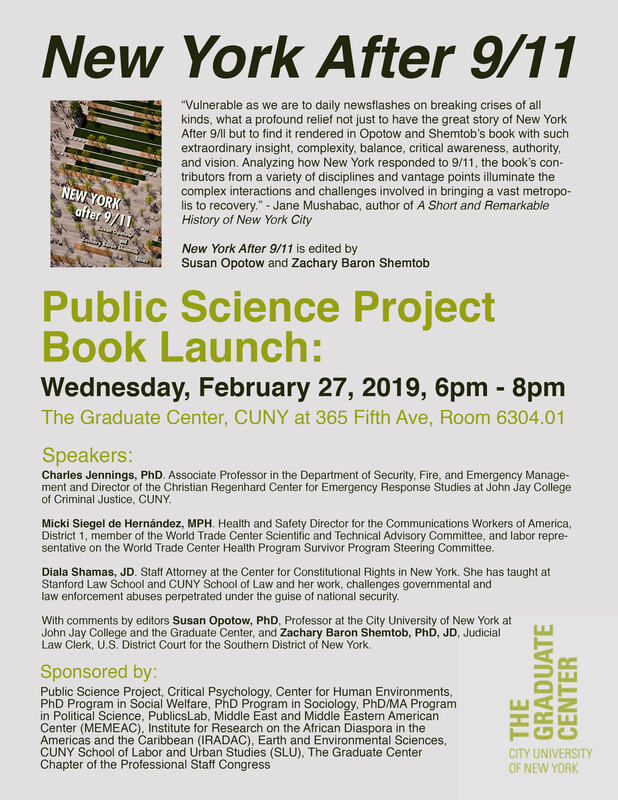 The book launch event will feature discussions on post 9/11 public safety, health, and surveillance in New York. Also, enjoy hearing from all present authors in the Q&A session after the feature remarks.